What does it say about your company if you don't wish your followers a Happy Thanksgiving? It means you don't care. True story. Get your Thanksgiving graphic ready! I have created 6 choices for you. Simple and easy. Click the photo below and instantly download yours today! "If you want to achieve greatness, stop asking for permission." 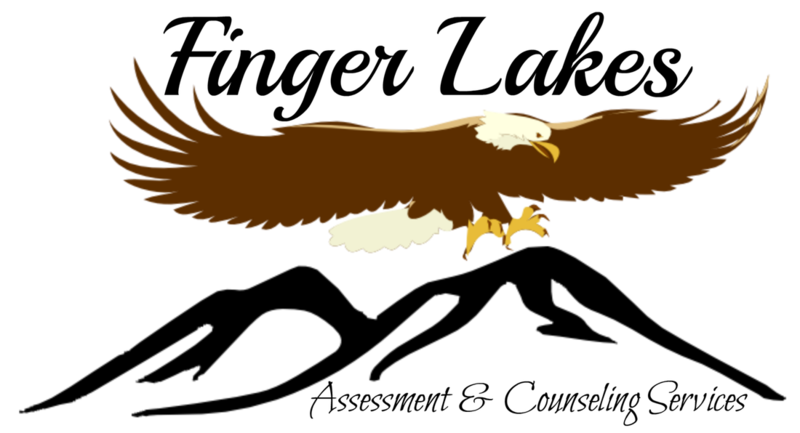 This graphic design can be purchased as an instant download, logo free. CLICK HERE. 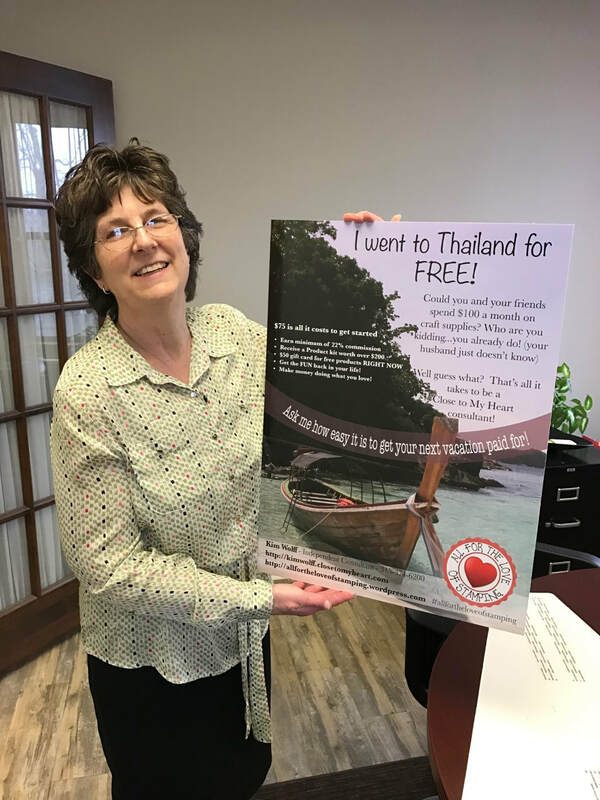 The design concept for this poster was to draw people's interest in a FREE vacation and I think we picked the perfect photo... it sure makes me want to jump right in! Kim Wolff is a Close to my Heart consultant and always looking to build her team. She asked for a flyer that she could take to events and/or just post in her crafting class room. Logo design ideas for a client. Which is your favorite? 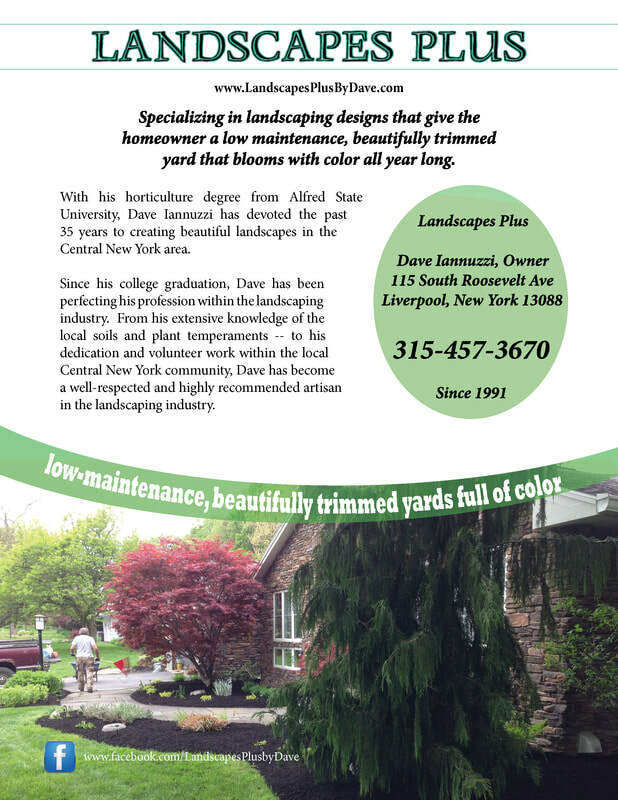 I came up with a business idea for Dave, Owner of Landscapes Plus. He is getting to an age where the grunt work and intense physical labor of landscaping is proving a bit difficult. But of all the landscapes he has done over his 30+ years in business, it is his designs that are most impressive. 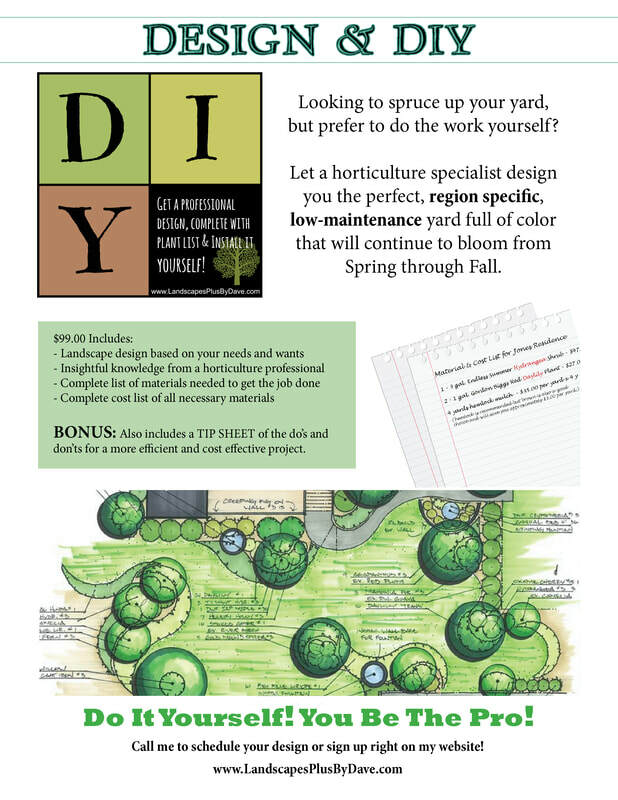 With that in mind, I thought since people don't appreciate the cost of good landscaping and seem to bargain as well as nickle and dime the price of a nice looking yard full of color and blooms, he should sell his design services and let the homeowners do the work themselves. That way they save money but they get the design of a horticulture professional. Here is the flyer I designed for him. It's double sided. To purchase this instant download, click HERE. Shelly does all my marketing. My website included. She understands how important cross promoting is and I appreciate that she takes excellent photos of my landscape projects. 5 star review on facebook. The generation of twenty something year old's have never used a phone book. How will they find you? 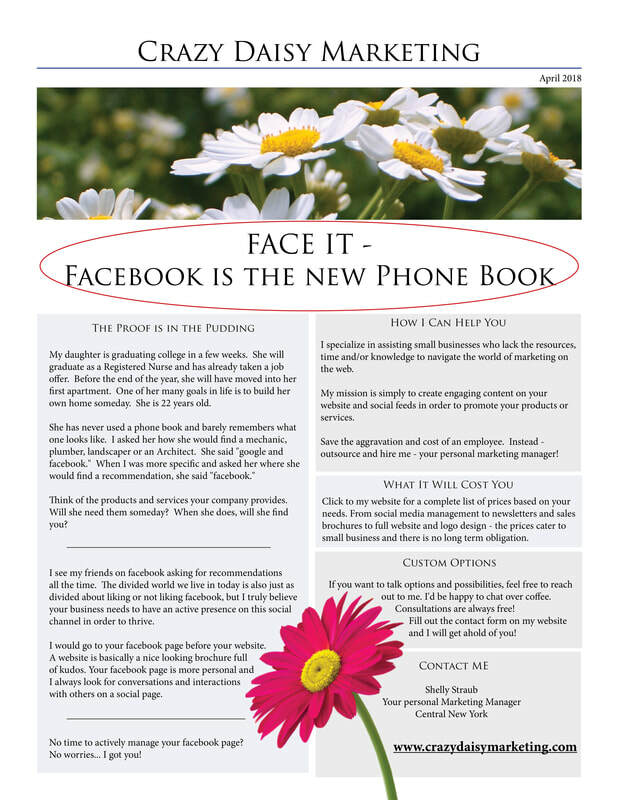 Face it - Facebook is the new phone book. Get with the social program and get on it! For those who have a love affair with all things marketing!